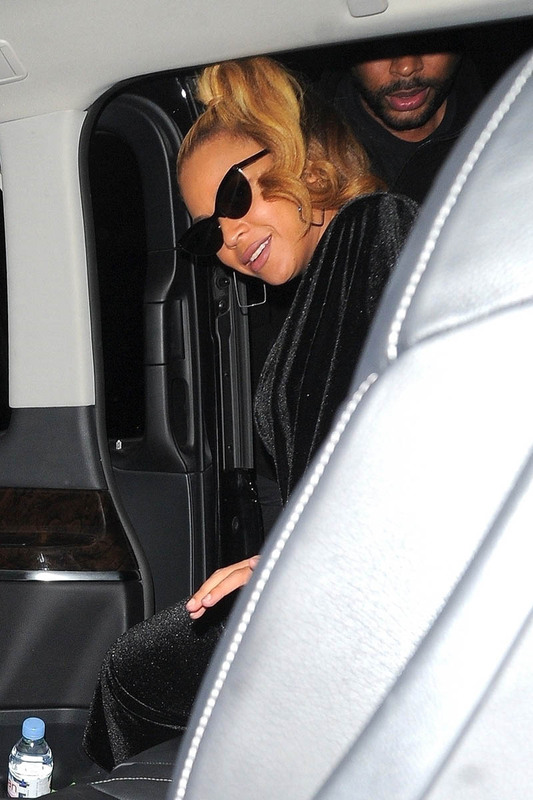 Beyoncé and Jay-Z, on an off night from the On the Run 2 tour last night, went to the Arts Club in London. According to photographers, they were there for over six hours, hanging out with friends, perhaps celebrating the success of their latest project, Everything Is Love and the Apesh-t video which… I mean… is there another video to come out this year that can match what the Carters did at the Louvre? All week people have been processing Apesh-t, considering its academic value, analyzing its art history references, analyzing its social messaging. This is what happens whenever Beyoncé shows her work – after she works she leaves everyone with homework and it’s up to the audience to examine the layers. It’s the same approach she’s taken, over the last few years, with her career. Beyoncé by Beyoncé is meant to be studied. I really need her to start making moves on that library. I don’t want to be too old by the time she opens it. She’s being dragged for it by some people in the comments. There was a time when Madonna was the queen of the music video. For sure, her place in pop culture is not small. And for sure, she pushed forward the art form. I will love her forever. She has said in the past that she doesn’t feel that she’s been properly acknowledged for it, that she’s had her share of sh-t to eat for her provocations. But I don’t know if this was the right time or the place to be starting that conversation, if that was indeed what she was doing. She may have been just trying to meme herself which isn’t really working here either, like when a teacher tries to show his students that he’s “down” and ends up reminding them that, well, he actually isn’t.